Pharmaceutical titan GlaxoSmith Kline manufactures and distributes the powerful anti-nausea drug known as Zofran (ondansetron). The prescription medication, which was FDA approved in 1991, was designed to help prevent vomiting and nausea associated with chemotherapy and radiation therapy, as well as the effects of anesthesia after surgery. Ondansetron is a 5-HT3 antagonist that increases gastric emptying while blocking serotonin signals that trigger nausea and sickness. 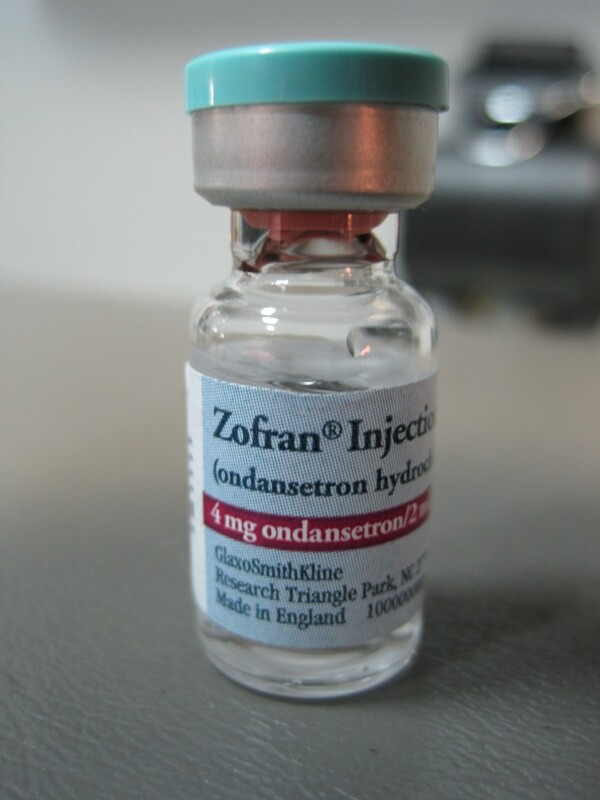 Zofran can be taken either orally or via injections to prevent nausea before cancer treatments or following surgery. Well tolerated by most patients, Zofran side effects can include lightheadedness, drowsiness, headache and constipation. In recent years, controversy has arisen regarding “off-label” uses, such as treating morning sickness in pregnant women. Since Zofran was never tested or approved for this particular purpose, there is no hard data that shows ondansetron is safe for the developing the fetus. The FDA classifies Zofran as a Pregnancy Risk Category B drug, which indicates there is no proven risk to the mother or fetus, with no data showing danger to animal test subjects. Several recent studies have tentatively linked Zofran use during pregnancy to an increased risk for certain congenital birth defects, though researchers generally conclude that more studies are needed to clearly establish a connection. An estimated 10 percent of pregnant women suffer from such serious morning sickness and vomiting during their first trimester as to warrant medical intervention. Fearing adverse side effects, some women opt to suffer through the symptoms without the aid of prescription medication. Ginger ale, soda crackers and B Vitamins are regularly considered a much safer route. The FDA has yet to approve a morning sickness drug in the United States, leaving physicians free to use their own discretion. At present there is no legislation that prevents doctors from prescribing drugs for off-label uses, which in certain instances can actually help patients. On the other hand, unapproved prescriptions are handed out with no verifiable proof of the drug’s safety or efficacy. Though GlaxoSmithKline never conducted clinical trials on Zofran to determine its long-term safety when used in pregnant women, it allegedly promoted the anti-nausea drug for morning sickness – an action that has become the topic of heated litigation. Pregnant women who were prescribed ondansetron for morning sickness took the drug believing it to be safe for the developing fetus. According to product liability lawsuits filed against GSK, however, these women were unknowingly putting their children at risk of life-changing Zofran side effects. According to the Toronto Star, adverse event reports logged with the FDA between 2010 and 2013 may indicate side effects of Zofran in Canadian mothers and their children. The article, which was published on June 25, 2014, looked at cases where mothers were treated for hyperemesis gravidarum – a severe form of morning sickness that can lead to dehydration and injury to both mother and child. Of the cases examined, one baby was born with a musculoskeletal abnormality, multiple infants had kidney malformations and heart defects, and six babies experienced poor fetal growth and were born with extremely low birth weights. Tragically, two fetal deaths were also reported to the FDA in connection with Zofran use for morning sickness. According to one doctor, ondansetron was also the suspected culprit in an infant’s jaundice, atrial septal defect (hole in the heart), mouth deformities and heart murmur. The off label use of Zofran in expecting women has been researched over the past decade, with inconsistent results that suggest additional studies are needed. In 2013, The New England Journal of Medicine published the results of a study that somewhat mollified concerns over Zofran and birth defects risks. The study followed more than 600,000 Danish births and discovered no increased risk of heart defects, stillbirth or spontaneous abortion. However, the same day these findings were presented, another research team which looked at nearly 900,000 Danish births from the same registry, found contradictory evidence regarding fetal risks. The pregnancy study drew upon nearly 13 years of data and found that Zofran was linked to a 30 percent increased risk of birth defects. The results found that 4.7% of mothers who took Zofran during the first trimester gave birth to a baby with a birth defect, versus 3.5% of mothers who did not take the drug. In 2012, GlaxoSmithKline reached a settlement with the U.S. Department of Justice based on fraud allegations. The $3 billion settlement resolved claims that GSK promoted Zofran and other drugs – including Paxil, Wellbutrin, Advair, and Lamictal – for off-label uses and paid kickbacks to doctors. Despite this agreement, GSK has maintained its position that it never acted in accordance with the allegations, and continues to deny any liability. According to one recent product liability lawsuit brought by a Massachusetts woman and her Zofran attorney, GSK knew the anti-nausea drug was unsafe for pregnant women, yet failed to convey adequate warnings. The lawsuit mentions previous animal trials – dating back to the 1980s – that showed ondansetron traveled through the placental barrier, resulting in malformations and congenital deformities. After taking Zofran while pregnant, the plaintiff’s child was born facial dysmorphia, hearing loss, inguinal hernia, and webbed toes. The now 12-year-old child has endured ten surgeries to correct her various birth defects and abnormalities. GlaxoSmith Kline is facing a number of Zofran lawsuits alleging negligence, strict products liability, fraudulent concealment, breach of express and implied warranties and deceptive trade practices.